For us, 2014 was a year of adjustments and change. Good change, but change nonetheless. A lot of different things were new and different and exciting, but scary at the same time. I wouldn’t change a thing we did though…I’m so proud of where our little family has gone in a year! The big news of January 2014 is that we officially moved! We temporarily lived with my in-laws after Noah took a new job in Mississippi in late 2013, but we finally found a little place of our own in January. We said goodbye to our old home (though we didn’t sell it for 4 more months…more on that later). At the end of the month, we had a rare south Mississippi snow/ice storm! Nothing big to report from this month. We finally got settled in to our little place. We also celebrated Valentine’s Day! We had lots of fun celebrating St. Patrick’s Day. And the big event of the month…Emma Ramey turned 2! We started to enjoy the warmer weather that headed our way this month. At the very end of the month, a tornado hit our home in Tuscaloosa (which we were scheduled to sell 2 days later). Not the best luck ever, but thanks to very quick, helpful contractors and an understanding buyer, we did sell it 3 weeks later! I had a great Mother’s Day! We had a great Memorial Day weekend. We went out on my father-in-law’s boat and explored the coast of Mississippi. This girl loves the water! We were outdoors for a lot of this month. Emma Ramey is definitely a child that loves being outside! I figured out that “The Terrible Twos” aren’t all that bad. I rolled out a line of premade blog designs that has been wonderfully successful! I loved being the 2-year-old teacher for VBS at our church. We also bought a car! We had a great week at the beach with family. On July 15th, I turned 29! Towards the end of the month, we had a weekend in New Orleans. We really enjoyed the lazy days of summer at the beginning of the month. And towards the end of the month, Emma Ramey started school for the very first time! We all settled into the new routine really well. Honestly, kind of a slow month. I talked about how boring was not always bad. In September, Emma Ramey turned 2 1/2! Nothing big to report, even though our month was full of fun events. We had a great time at the Pumpkin Patch! Sheriff Callie and the gang made an appearance on Halloween! Emma Ramey had her first school performance! Noah’s grandmother passed away toward the middle of the month. We traveled to south Alabama to celebrate her life. Emma Ramey celebrated Thanksgiving at school. We had a great Thanksgiving/football weekend in Tuscaloosa! Noah and I celebrated 7 years of marriage. We had our family pictures made! 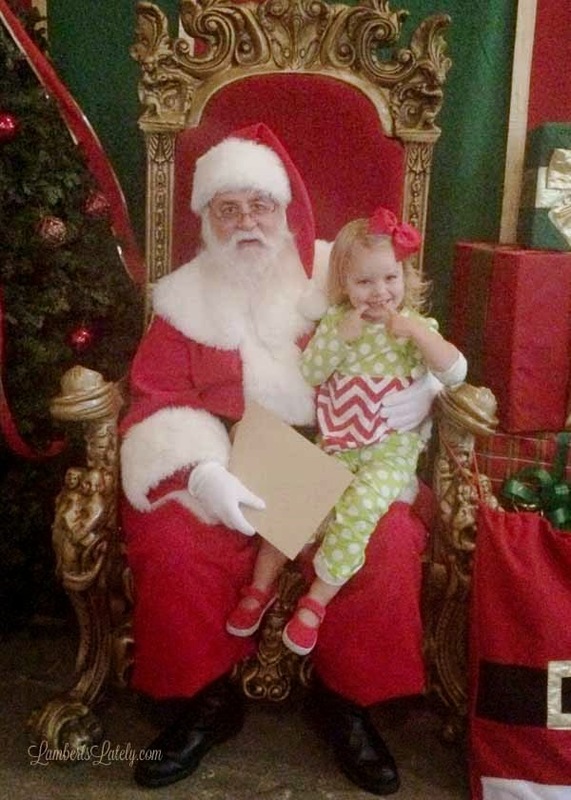 We had lots of fun celebrating Christmas, including meeting Santa. And this Christmas was the most magical one we’ve had yet! Here’s hoping that this year can live up to last year…you’ve got some big shoes to fill, 2015!